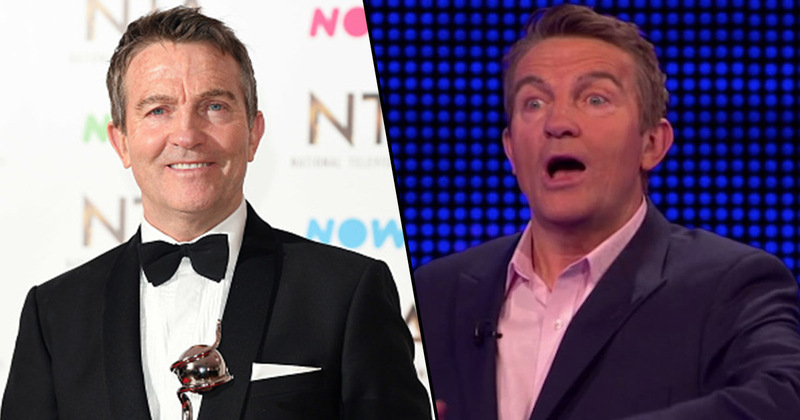 Few men have brought as much to the art of quiz show hosting as Bradley Walsh, a true national treasure. The hilarious presenter of ITV’s The Chase has long been cracking up fans on TV, and luckily for everyone he’s now entering the world of social media. On Thursday, he announced he now has an Instagram account thanks to Holly Willoughby’s antics at the National Television Awards the previous night. Oh dear… woke up this morning with a headache and an Instagram account. @hollywilloughby bad girl!!! His first post was an incredible hungover snap with a brew and a biscuit, in which he complains of a tender head. But it’s his second upload which has all the fans talking, because it contains Bradley’s son and people can’t cope with how similar they look. He uploaded his post of himself and his son from Tuesday’s award ceremony and people just can’t get over the similarities. Perhaps more perplexing is the fact that Walsh admitted he is missing a shoe from the big night, and that kind of makes me wonder just what goes down at these black tie events in TV. Sorry for late post gang (think that’s what it’s called) but at last I’ve finally come round… Here’s me and @barneycpwalsh last night in the calm before the storm. Oh and by the way if anyone has any tips for me on how to Instagram properly, please feel free cos I ain’t got a clue! Also I’m missing a shoe! We have no doubt The Chase host will absolutely smash this social media lark as he does everything else in his life. If you don’t believe that the man is a true Renaissance creative genius then just look at the figures. In 2016, the man released an album called Chasing Dreams (very on the nose) and while you’d think it would be in front of check-out counters for £1.99 within a week, it actually became the biggest selling debut album of the year. Yes, that’s right, Bradley Walsh sold more albums than Zayne Malik to take the top spot and went gold, no doubt owing to the popularity he has with tv viewers. The album was the seventh best-selling of the year full stop, according to i Paper, and that’s just a strange sentence to write. I grew up listening to legends such as Sinatra, Sammy Davis Jr and Tony Bennett. From those early days I’ve always been a huge fan of this style of music and now have the opportunity to record some of the greatest songs and arrangements ever written, alongside a 54-piece orchestra and band, is absolutely thrilling. I never expected that [a gold album]. It just goes to show that great songs live forever. Well let’s just hope Bradley’s son has half as much talent as his dad, then we’ll surely be in with a treat for years to come.